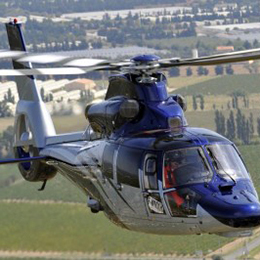 In operations on land and at sea, the H145 is at the top of its class in the medium-sized, twin-engine helicopter category. 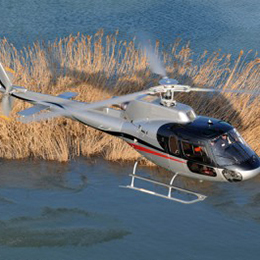 With up to 12 seats for pilots and passengers, this multi-mission helicopter combines Airbus Helicopters’ latest developments such as an advanced cockpit design, avionics and a sophisticated electrical system. 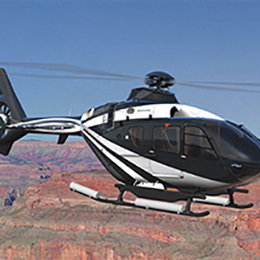 The H145 offers a proven hingeless rotor system with a monolithic titanium hub and enhanced rotor blades, which ensure low noise and vibration levels. The H145 is equipped with two Safran Arriel 1E2 engines which provide outstanding performance and vital power reserves even in one engine- inoperative (OEI) scenarios. 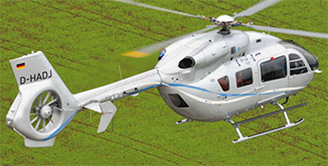 EC145 CabinThe H145’s twin-engine reliability is enhanced by a completely separate fuel system, a tandem hydraulic system, a dual electrical system and redundant lubrication for the main transmission. Further built-in safety aspects include energy-absorbing fuselage, seats and crash-resistant fuel cells. 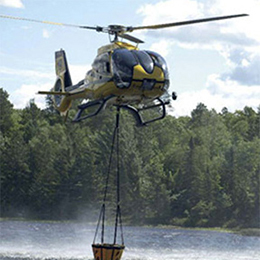 In addition, the H145 allows for Category A operations up to performance class 1 according to JAR-OPS 3. Compared to other helicopters in its class, the H145 offers a significantly larger cabin featuring excellent outside visibility for pilots, crew and passengers, a roomy cabin with no partitions, center or door posts and unrivaled side and rear loading capability.